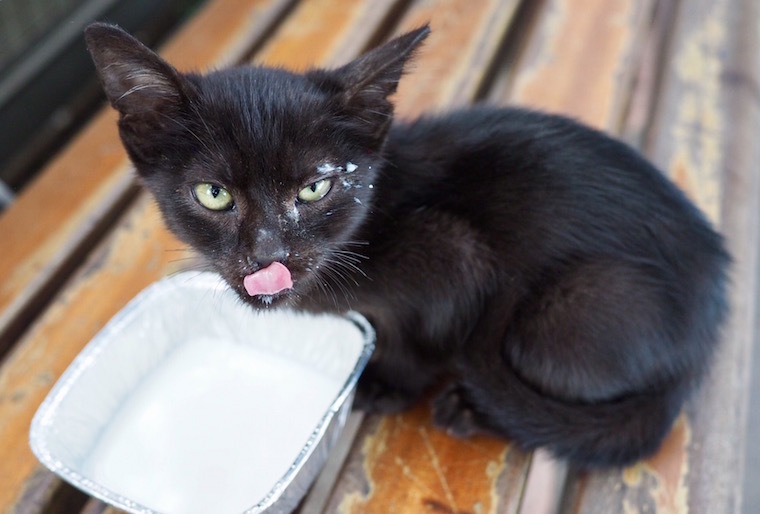 Calling all kitty lovers! 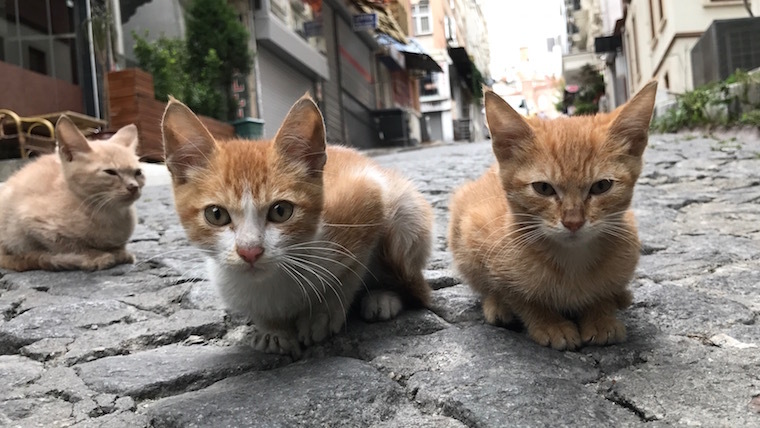 Pack your bags and book your tickets to Istanbul because Turkey’s second city (also known as ‘Catstantinople’) is absolutely heaving with friendly, fussable cats. 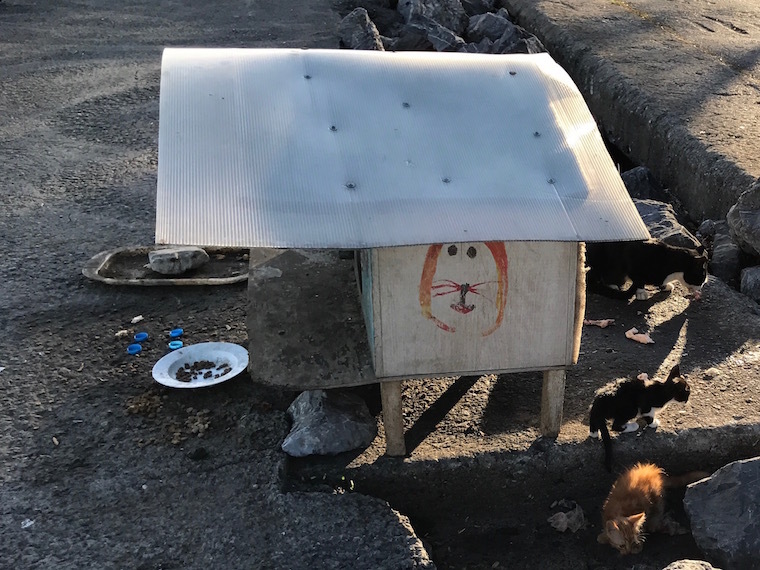 Owned by no one and everyone, thousands of strays are fed and cared for by kind locals who leave out little piles of cat food, share their leftovers, and even put up rickety cat houses to offer a bit of shelter during the chilly winter months. 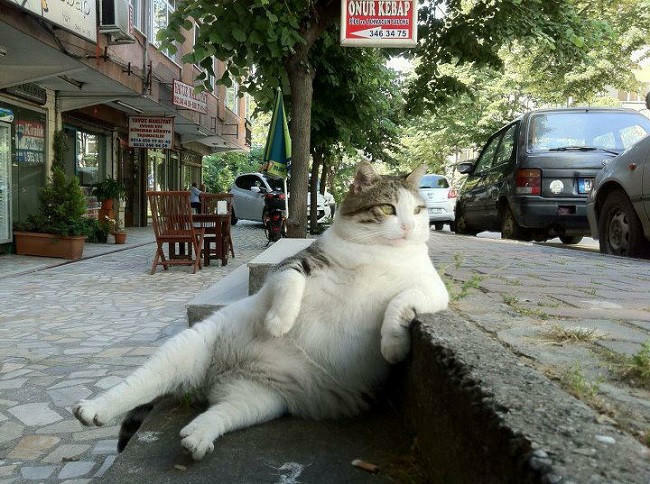 That’s Tombili, the laid-back feline who shot to internet stardom in a thousand different memes. 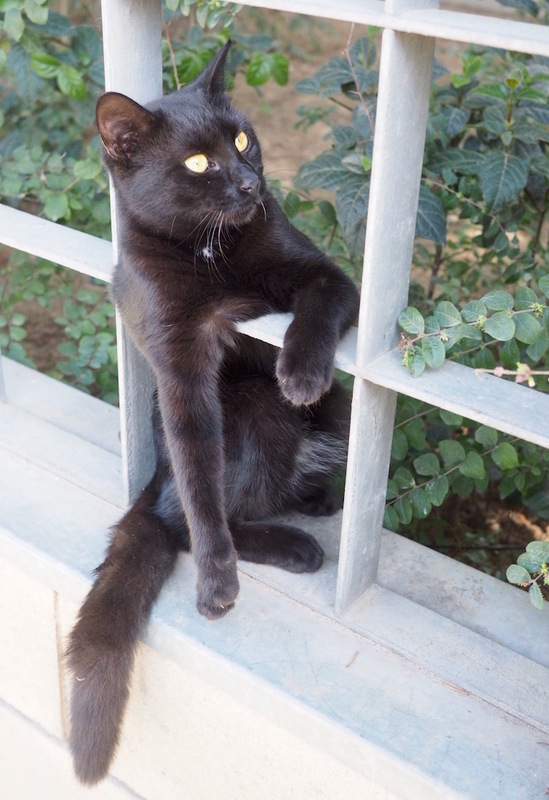 When she passed away unexpectedly earlier this year, the local community was so heartbroken that residents petitioned the council for a fitting memorial to their beloved cat… and they got one. 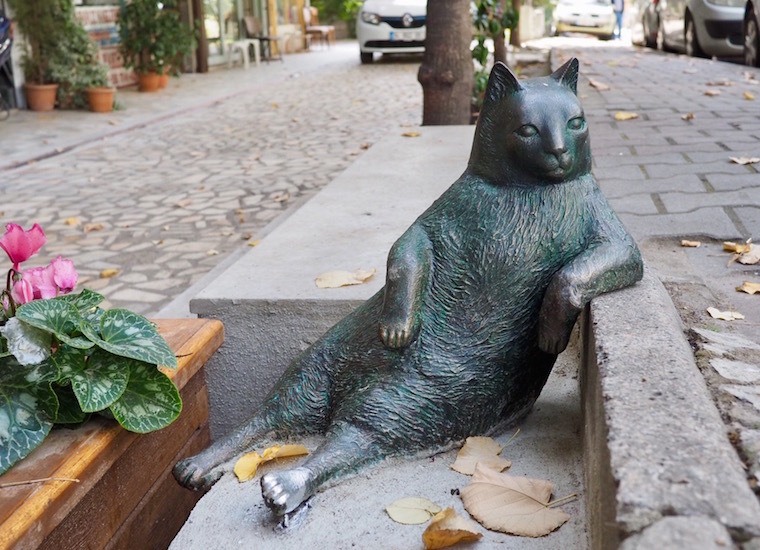 On World Animal Day 2016, a local artist unveiled a bronze statue of Tombili in the very spot she struck her world-famous pose. 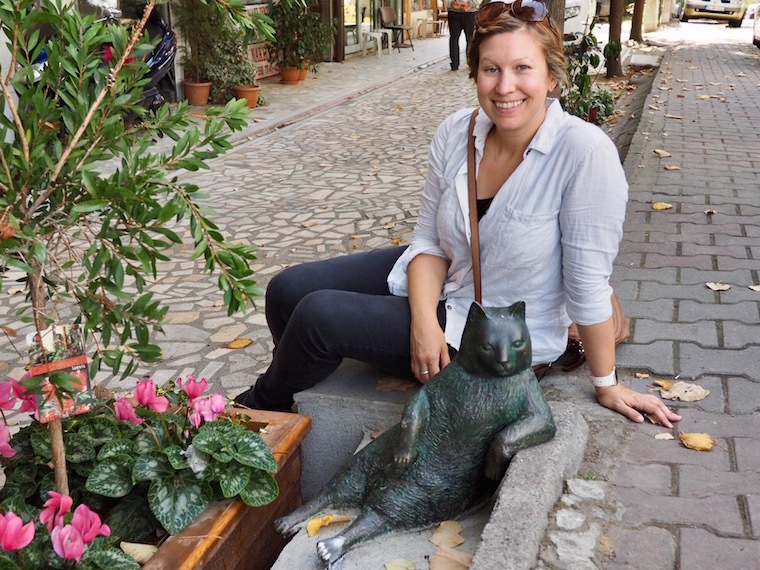 I don’t know why I loved the idea of this so much, but as soon as I read about it I knew we had to go and make a pilgrimage… and have a thoroughly cat-themed jaunt around the city while we were at it. 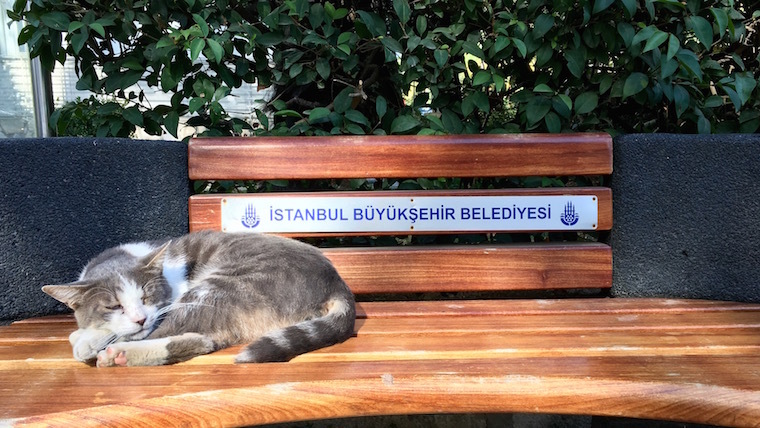 Finding Tombili was trickier than we thought. We knew from news reports that she hung out in the Ziverbey area on the Asian side of the city, but it took some NCIS-style sleuthing to triangulate the location based on both the takeaway sign visible in the background of certain photos, and a screenshot from Google Streetview that captured the living and breathing Tombili in happier times. Seeing Tombili memorialised as street art was a treat to see, but Ziverbey can be a long way to schlep if you’re travelling all the way over from the European side. 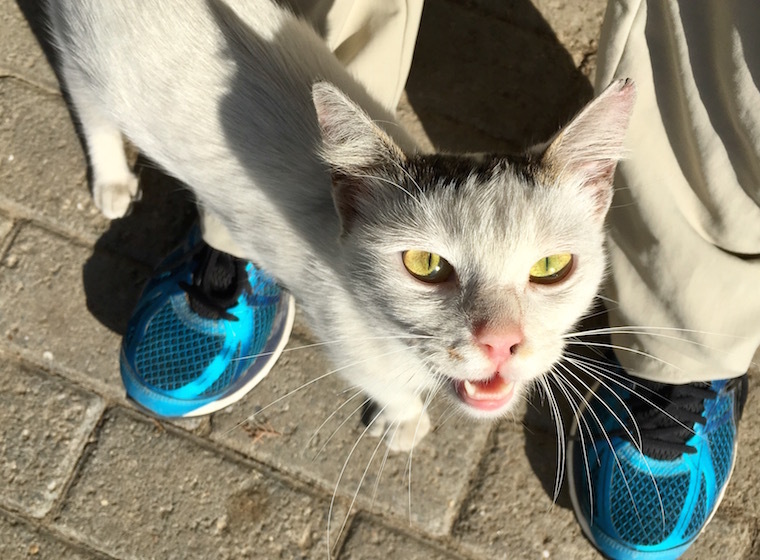 That’s why you should pair any visit to see the T-cat with a trip to Özgürlük Parki – otherwise known as ‘The Cat Park’ – just a 20-minute walk away. The park is gorgeous – it’s huge, leafy and really well-kept, and has lots of different areas to explore. It also holds a market during weekends, has an on-site cafe and plenty of child (and big kid) friendly areas. But the best thing, of course, is that it’s absolutely full of cats. 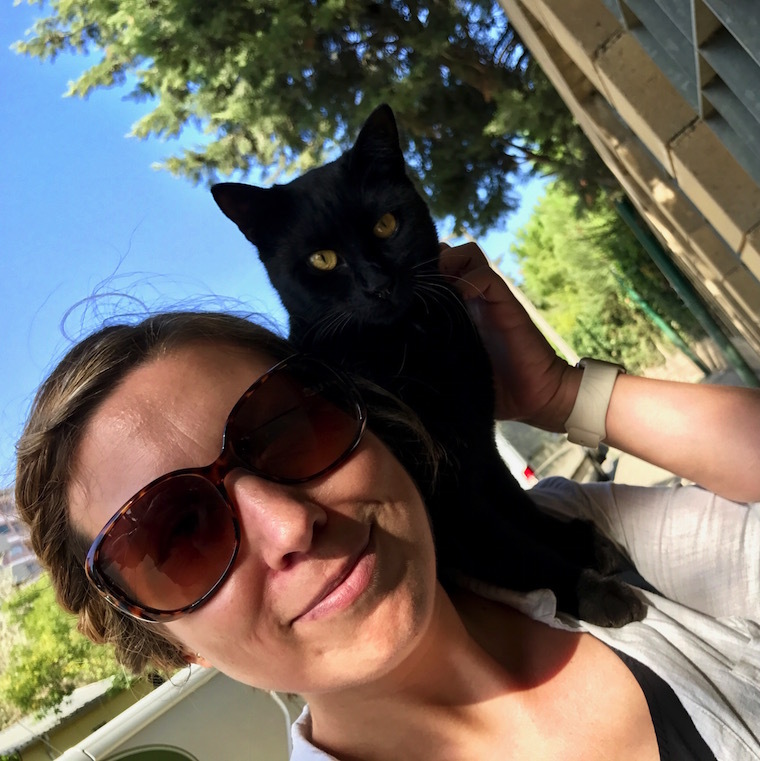 We ended up calling her Cat-Parrot, because as soon as I gave her a little scratch behind the ear, she CLIMBED UP ME and happily settled on my shoulder. 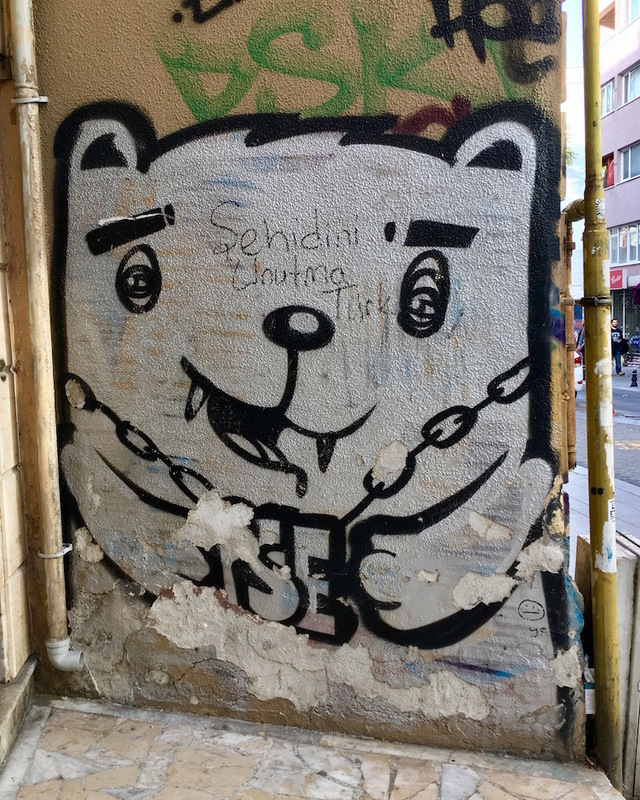 To round off our day, we wandered the back alleys of Kadiköy in search of one of the colourful ‘bear-cats’ painted by Istanbul street artist Kedicizdim (the name literally translates to: “I drew a cat”). We failed to find one, but we did come across this – maybe it’s from him too? Or maybe it’s the work of… a COPYCAT?? Get it? 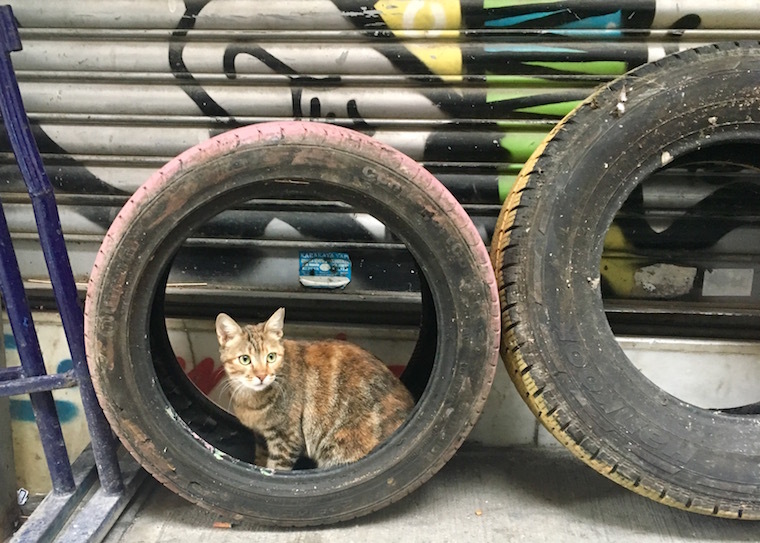 Ok, I’ll admit it – I concocted this entire day out based on a tenuous link to street art and a strong desire to play with as many cats as possible… and I think you’ll agreed I succeeded. 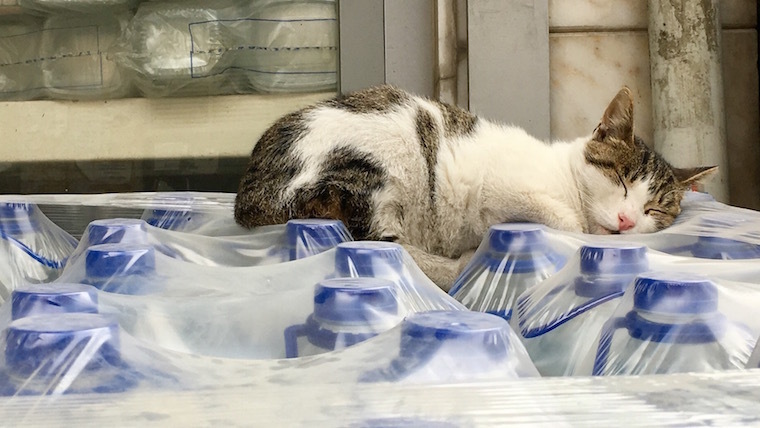 But when you’ve had your fill of the Hagia Sofia, the Blue Mosque, Basilica Cistern, Galata Tower, and all the other amazing sights in Istanbul, why not do the same too? Take the ferry to Kadiköy from Eminönü or Karaköy. Walk to the bus stop and then take the 20K bus towards Kazim Karabekir, getting off at Ziverbey. Walk to Güleç Çikmazi, and just around the corner, you’ll see the step and the statue. OR download the Trafi app to find the best route for you based on where you are and what time of day it is (recommended). 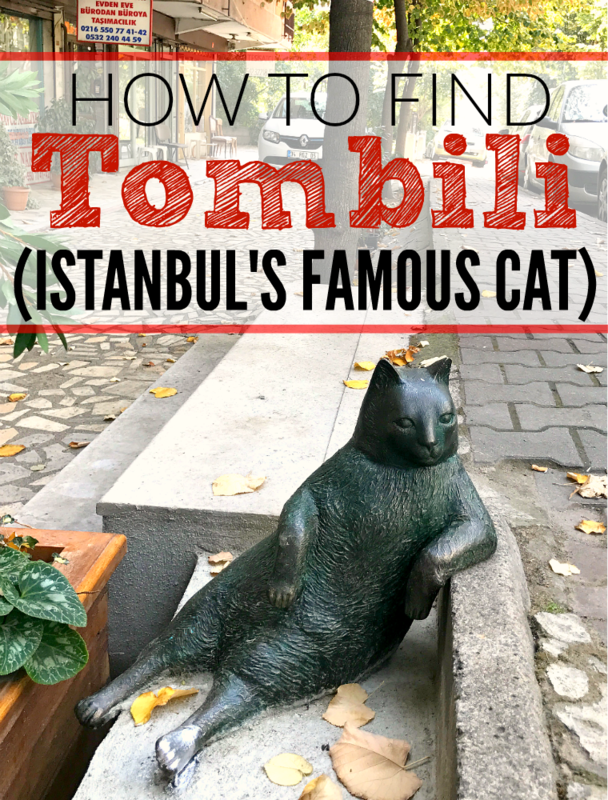 You can walk to The Cat Park from the Tombili statue like we did, or use the Trafi app to get public transport as far as possible. 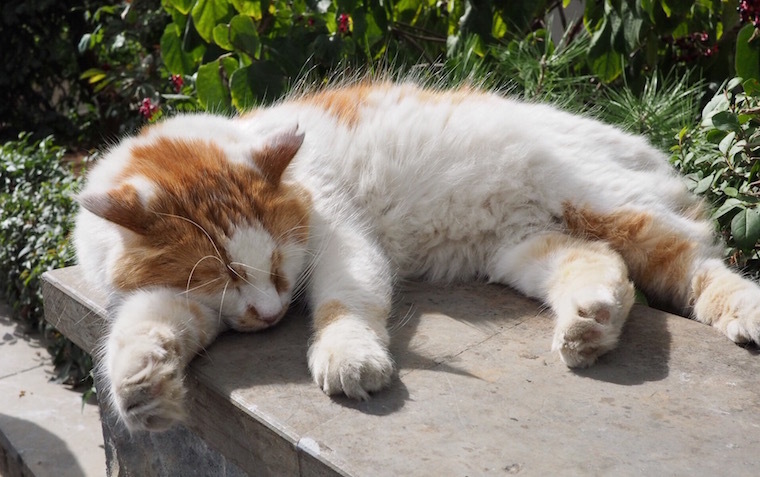 Don’t forget to pet the cats! 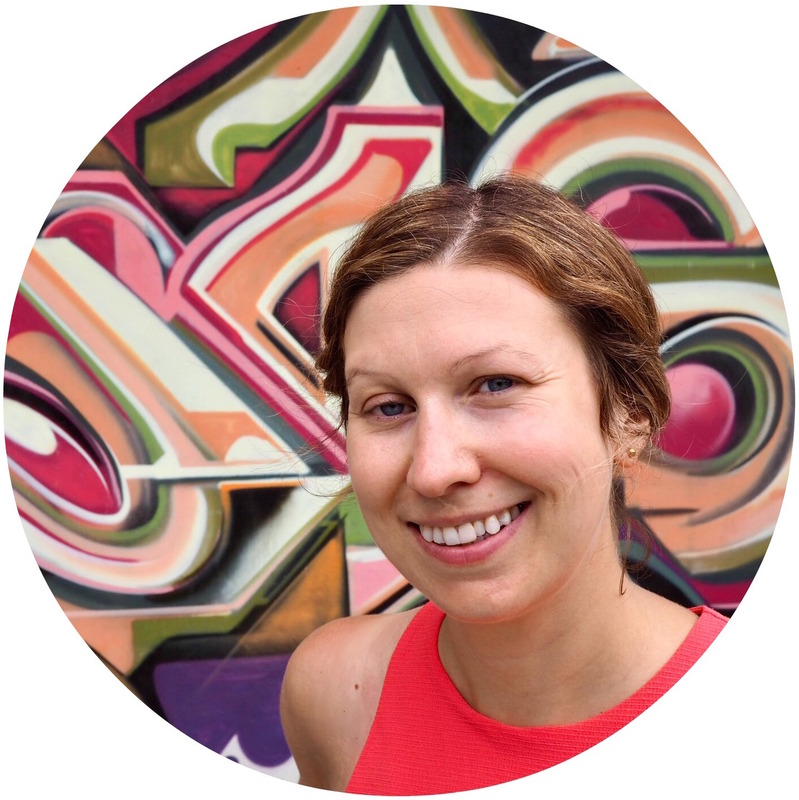 There’s street art all over the city, but if you’re keen to gain some insider knowledge, try the Street Art Istanbul app. 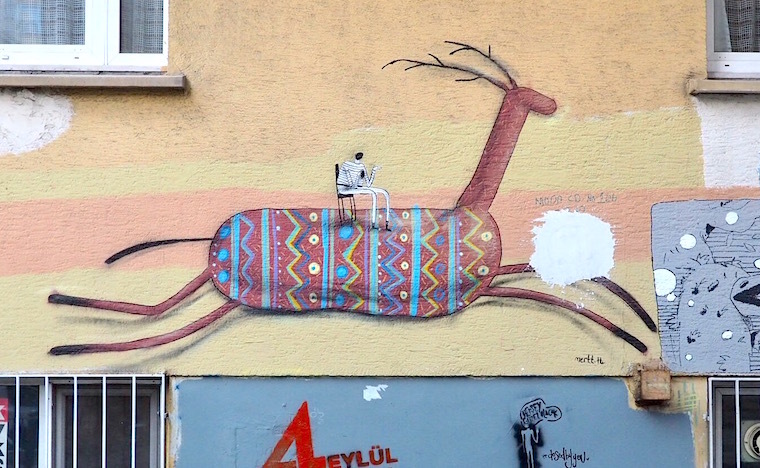 We couldn’t find the Kedicizdim artwork – it may have been painted over – but we did come across this piece also featured in the app and it was interesting to learn a bit more about the artist, Mert, and where you can see more of his illustrations.